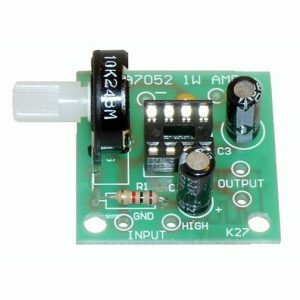 Ultrasonic Movement Detector Kit – CK0203. Soldering required. 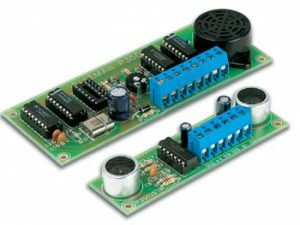 The circuit uses a matched pair of 40 kHz transducer elements to detect movement up to 22 feet away. 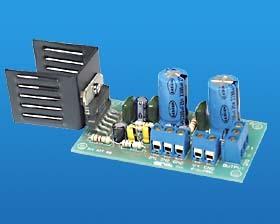 You may add a relay (not included) to switch higher voltage loads. 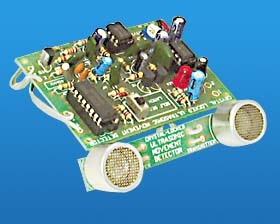 The unit switches a LED for movement indication. Sensitivity is adjustable via control. Crystal locked circuit for maximum stability. 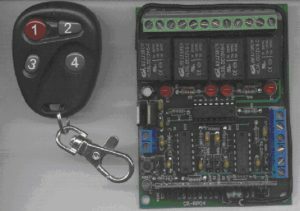 A good circuit for detecting intruders, pets, etc., and then turning on a light, alarm bell, etc. 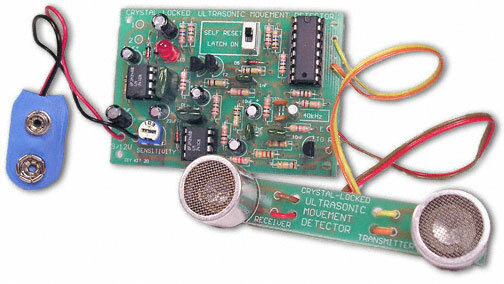 9 volt battery operation – DIY Kit 20.